Here’s what’s happening in the world of television for Sunday, April 8. All times are Eastern. Howards End (Starz, 8 p.m.): There’s just something about Sunday night that makes it perfect for curling up with a cup of tea, a fuzzy blanket, and a period drama involving drafty estates, rebellious heirs, and a multitude of romantic intrigue. 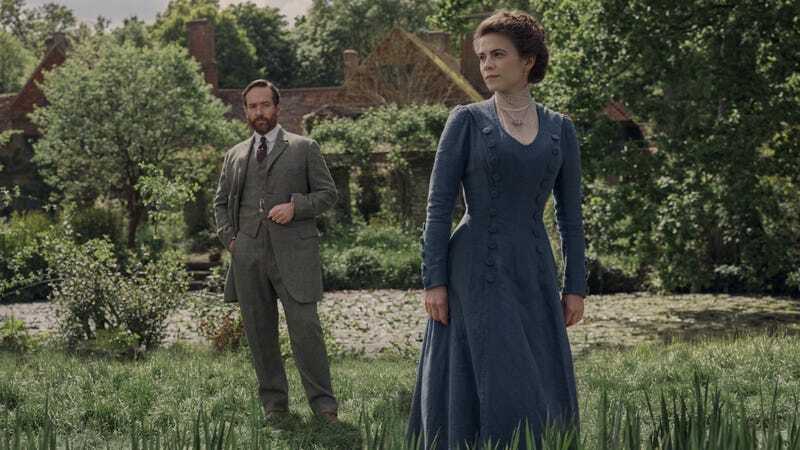 Since Downton Abbey has left us, Kenneth Lonergan and Starz are here to deliver with the adaptation of Howards End, E.M. Forster’s saga of “two independent and unconventional sisters seeking love and meaning as they navigate an ever-changing world.” We’re just happy to see Hayley Atwell in proper costuming again in this mini-series, along with Julia Ormond, Tracey Ullman, and Matthew MacFadyen. Timeless (NBC, 10 p.m.): Speaking of costuming, Timeless is traveling to “The Salem Witch Hunt” this week. Hey, if it’s good enough for Arthur Miller, it’s good enough for NBC Sunday nights. And some of those outfits look awfully Handmaid’s Tale familiar. Certainly seems intriguing enough to make for a necessary Timeless watch tonight.